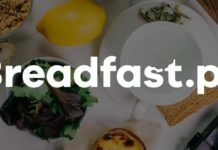 Lisbon-based breakfast delivery startup Breadfast partners with the Association of Hotels, Restaurants, And Similars of Portugal (AHRESP). After gobbling-up A Tiga Nova in an acquisition announced last August, Breadfast is now offering exclusive conditions for AHRESP Associates that are qualified in the QUALITY program. In March 2017, AHRESP presented the Quality – Qualification and Valorization of Local Accommodation, within the framework of the Quality Program, which is an unprecedented study of characteristics of Local Accommodation in the Metropolitan Area of ​​Lisbon, including establishments and entrepreneurial profiles. The new partnership between Breadfast and AHRESP reinforces the position of Breadfast as a benchmark service in the tourism and catering sectors and reflects AHRESP’s commitment to new companies with growth potential. For Mario Tarouca, founder of Breadfast, this partnership is a return to origins. “When you entered the local lodging market you came across the need to create a breakfast service tailored to your guests and now that the solution is created, you want to help your colleagues in the sector to improve their service,” reads a statement to the press. The young startup emerged in early 2018 and has since been working to innovate its menu and increase its customer base. For AHRESP, working with a partner that is able to guarantee food hygiene standards brings ease and safety. According to the Association, Breadfast’s service adds value to the Local Accommodation companies, and has increased both the overall rating and the number of reservations. With this new partnership, it is also expected that the two partner entities will collaborate in other actions, namely in the development of specific products for associates and for local accommodation companies. “We are always looking for new clients, ideally, companies that manage local accommodation and who wish to offer a breakfast service to their guests or, therefore, companies that want to offer our service to their employees on a regular basis, for example, surprise them on their birthday,” said the Breadfast CEO in a statement last year. Breadfast said last year that it is available for partnerships with these brands. Its offerings include breakfasts that are delivered in the region of Lisbon from Monday to Sunday between 7AM and 11AM, provided that orders are made online until midnight the day before.